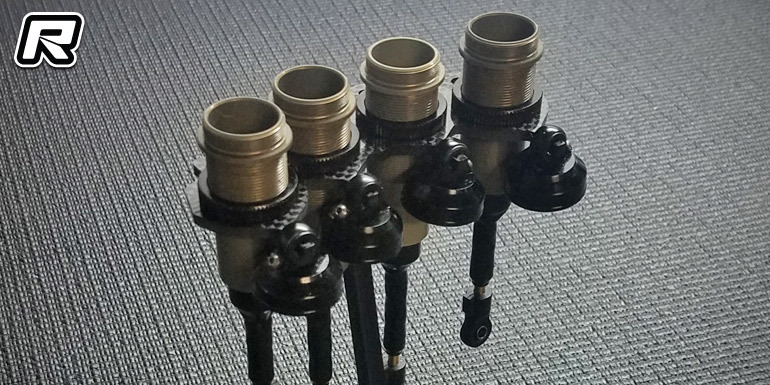 Coming from Vision Racing Products is their new V2 Shock Stand for both 1/10 and 1/8 off-road vehicles. 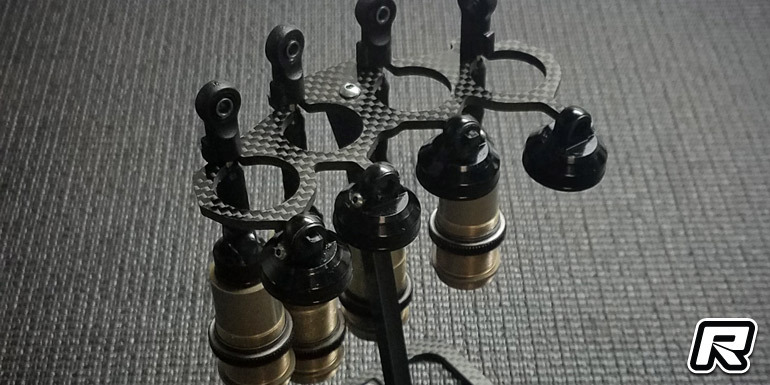 The 3-piece shock stand features a carbon fibre top and base, along with an aluminium centre post and it sports slots to hang the shocks upside down to drain, as well as small pegs to hang the shock caps from to keep them clean. The carbon base features cutout pockets with felt pads and a small magnet on the front to hold items like shock nuts. 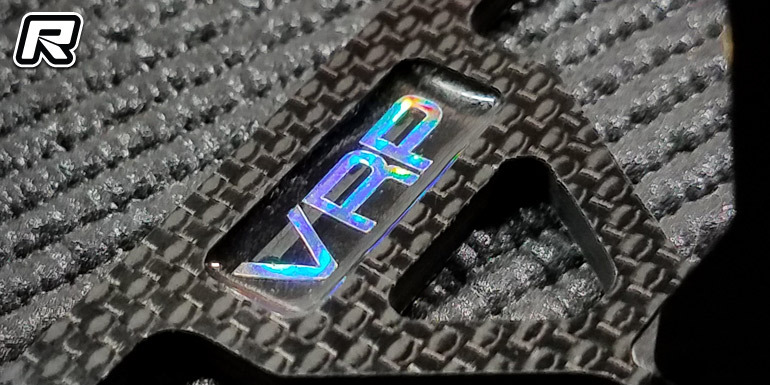 The rear section of the base shows off a holographic VRP logo embedded within the carbon. The logo has a neat effect to it as it changes colour at different angles, providing the ultimate bling. 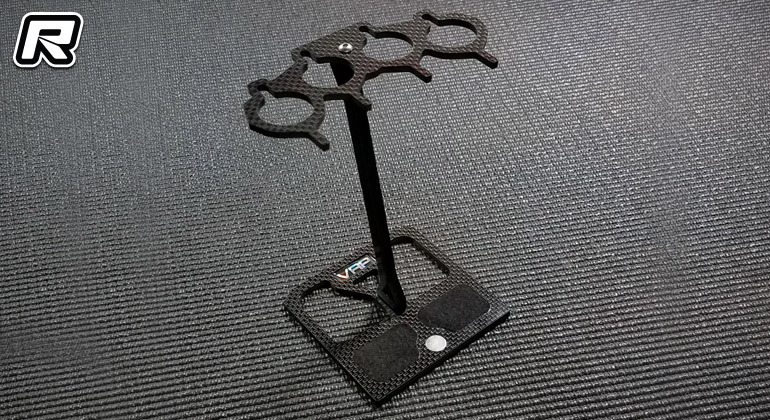 The V2 shock stand comes including a felt storage pouch and it is available now.